There’s no doubt that The Elder Scrolls V: Skyrim caused a sensation back in 2011. After all, this was not only regarded the best RPG of the year by most major gaming sites, but arguably also offered the biggest, prettiest and most fascinating medieval fantasy world seen in a video game until that date. Actually, Bethesda’s masterpiece had not been surpassed until Nintendo’s The Legend of Zelda: Breath of the Wild came along this year, with Link’s latest adventure offering an even more engaging fantasy world and even better RPG gameplay according to many. 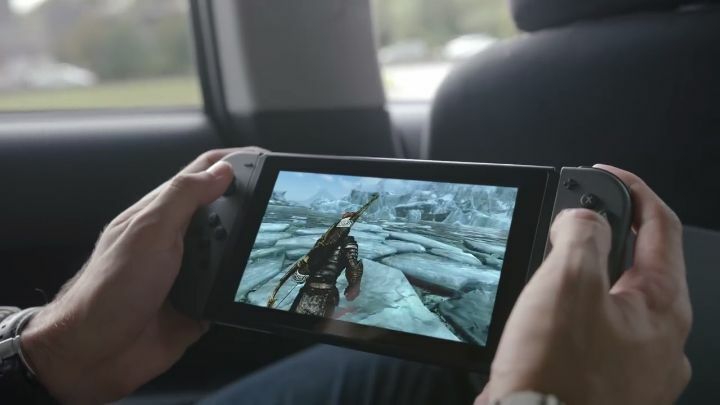 But still, Skyrim is undeniably still a classic and Bethesda fans will be thrilled to hear that the game will be coming to Nintendo’s Switch console later this year. This will also be a boon for owners of Nintendo’s machine who are tired of Zelda, and want to try a darker, grittier alternative to Link’s latest adventure. And thanks to new footage released on GameXplain, we now have a better idea of how this version of Skyrim will look and play, and how it will feel to take control of the Dovahkiin (Skyrim’s protagonist) while on the go. Aside from featuring optimized load times, smooth frame rates and good looking graphical textures as reported on mynintendonews.com, this Skyrim edition for Nintendo Switch will also feature Amiibo functionality and motion controls too. Plus, apparently the Link armour seen in Zelda’s E3 demo will also be widely available in the game which is something that is bound to please the legions of Legend of Zelda fans out there for sure. So, even though this is just a new edition of an old game, this mobile version of Skyrim is definitely something to look forward to this year, as it’s one of the most exciting releases Nintendo Switch fans will be able to get their hands on come this fall.